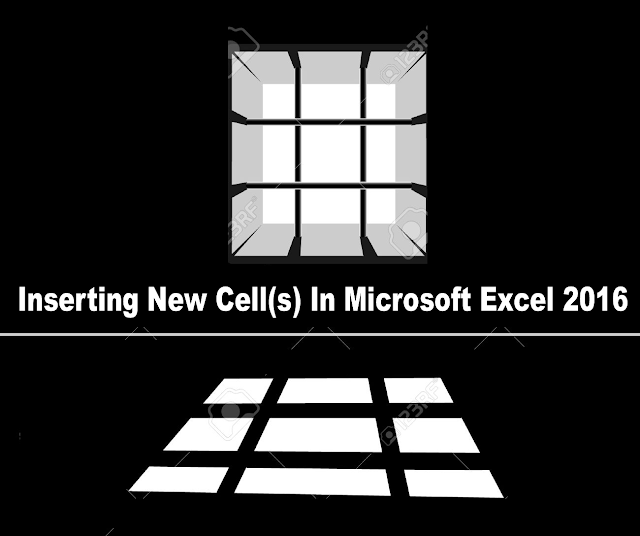 As you may already know, in a spreadsheet program such as Microsoft Excel 2016, Cell refers to the rectangular box that is formed by the intersection of a row and a column. In Microsoft Excel 2016, there are at least 7 million adjoining cells available in each worksheet were you can insert your data into, so to us, there really will be no situation where you will be needing a additional cells. But there are times when you are preparing your workbook in Excel 2016, and then you realize that there suppose to a particular data that needs to be entered before the one you have. In this, you do not need to delete all your entries in the cells of that row or column and start afresh. MS Excel 2016 was created in such a way that if such a situation arise, all you need to do is to insert a new blank cell where there is a missing entry. Select the current cell(s) where you want the new blank cell to appear. Note: if you want to insert more than one cells, then you need to select the corresponding number of cells. For example, if you need to insert new blank 3 cells, then you need to select the 3 cells that is currently occupying the position where you want the new cells to appear. In the Cell command group, click on the drop-down arrow below the Insert command icon, and select Insert Cells... from the menu that will be displayed. Shift cells right: If you want the cell to be inserted at the current select cell position, but the selected cell will be moved to the right. Shift cells down: If you want the cell to be inserted at the current select cell position, but the selected cell will be moved downward. Finally click the OK button in the insert dialog box to insert the new blank cells. Select the cell where you want the new blank cell to appear. Right-click on the selected cell. Then click on Insert... from the right-click menu. You can also access the Insert dialog box by pressing Alt + (H I I) in the keyboard. These keys should be pressed one after the other and not while holding one key down.